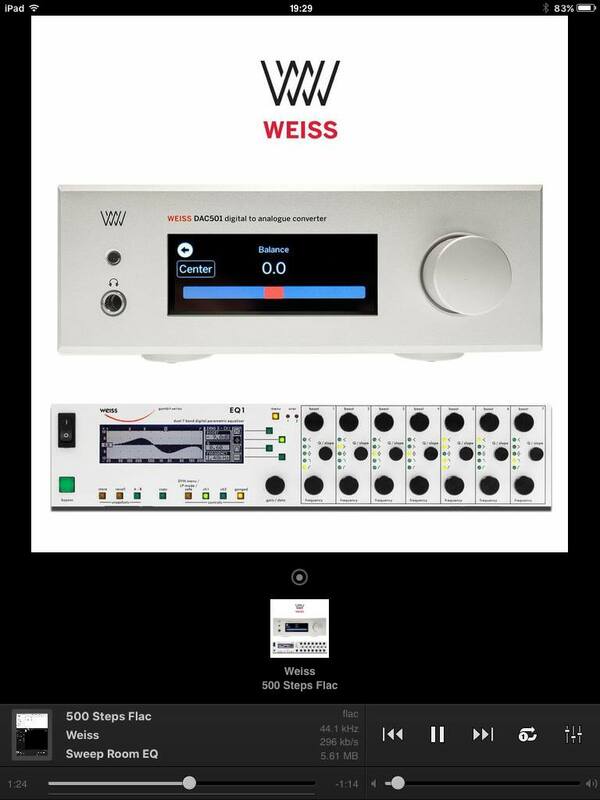 Weiss Switzerland headquarter has created a very interesting tool that not only target Weiss DAC50x customers, but anyone who has an audio system can do the same thing. It uses you, the listener ears and the sitting position to detect the room mode. There is a PDF document if you would like to download and follow. The simple setup procedure for the Room EQ uses a sine-wave sweep audio file (200Hz down to 20Hz) to be played back via your speaker setup. During playback you will write down the time(s) where the loudness of the sine wave reaches a maximum, i.e. where the so called room modes show up. Those time figures then allow to determine the frequencies of the sine wave and thus allow you to set the bands of the Room EQ in order to attenuate those frequencies. During the frequency sweep you probably will also notice some dips in the loudness. This is normal, as the sine waves coming from your speakers add and subtract with the sine waves reflected from the room walls. The added waves are what we try to suppress with the Room EQ. The subtracted ones (loudness dips) cannot be corrected with a Room EQ or only to a very limited amount. Do not try to lift those dips to full level, it won’t work. The problem with lifting the levels is that the Room EQ (or your speakers) can easily get into overload and then generate nasty clipping noises. 2) Download the right hand side Sweep Tones Chart. 3) Make sure to sit at your normal listening position (this is essential). 4) Play the file via your speakers at normal loudness (does not have to be loud). 5) Write down the time(s) into the playback where you hear a maximum volume of the sinewave. If necessary repeat the test to find all those maxima. 5) If your listening room is not too complex in terms of wall geometries you may visit this website and calculate the potential room mode frequencies by entering the dimensions of your listening room: https://amcoustics.com/tools/amroc (This can help with determining the proper frequencies). 6) Translate the times you have written down to the frequency of the sine wave from the right hand side chart. Repeat the above 6 procedures, you can use your ears to detect the 4-5 loudest frequencies that overloading by your room mode at your listening position. You can use this method with ANY audio playback system. The difficult part is after you have found those 5 most overloaded room mode frequencies, how can you solve them? Weiss DAC50x Room Correction Equalizer is a mastering grade EQ for this purpose. 8) Select the first loudest sector you like to process, i.e. set the “Frequency” fader to the proper frequency according to your list. 9) Move the “Q” ~ 14 to start with. The “Q” is the Quality parameter which is the bandwidth of the notch filter we apply to suppress the frequency. The higher the “Q” parameter the narrower the notch. A high Q makes sure that not too many frequencies around the annoying frequency are affected by the notch. On the other hand a high Q may cause that frequencies close to the one we have selected still get through and excite the room mode. 10) Move the“Gain” fader to the left to e.g.-15dB to start with. 11) Now you may play the sine wave sweep again and check the frequency range around the frequency you have selected to suppress. Check whether the listening volume stays about constant now, i.e. 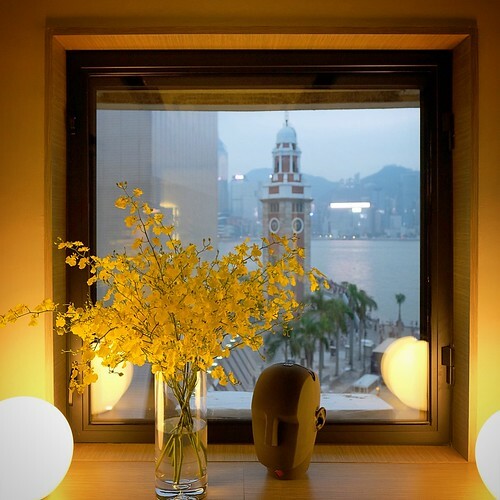 whether the room mode is suppressed properly. If necessary adjust the Gain parameter. If you can’t get a proper result by adjusting the Gain parameter (i.e. you always get too much loudness at the room mode frequency) then adjust the Q value to a lower value and then try again with the Gain parameter. 12) Now select another frequency you may have on your list and proceed from 8) above again. Usually there are only a very few frequencies which need treatment, so the 5 bands of the Room EQ should be fine. The graph on the bottom right shows you the DAC50x Room Correction Equalizer in actions. We have another Multi-Band Parametric Equalizer article to focus on Equalizer and its functions. You may find with Room Equalizer, one may only need the Peak filter, and the Q value is mostly quite high Q=14 to Q=30. Note, you may have gotten used to the acoustics of your playback setup and then when correcting it with the Room EQ it may sound strange at first. But keep it and listen to it, you will get used to it again and enjoy listening to a better reproduction chain. Once you have properly set the Room EQ you will notice a much clearer reproduction, without boomed bass.The Room EQ V1.0 is based on the listener ears as “microphones and FFT” while sitting at the listening sweet spot to determine the room mode frequencies. Next step V2.0 we will use a microphone and FFT to generate more objective measurements, However you will be amazed how efficient this method without any other tools than your own ears! This is amazingly useful to clear the blooming effect. Thank you for the comment. If more audiophiles understand how powerful this Equailzer can improve their audio systems would be benefit than most other tools.